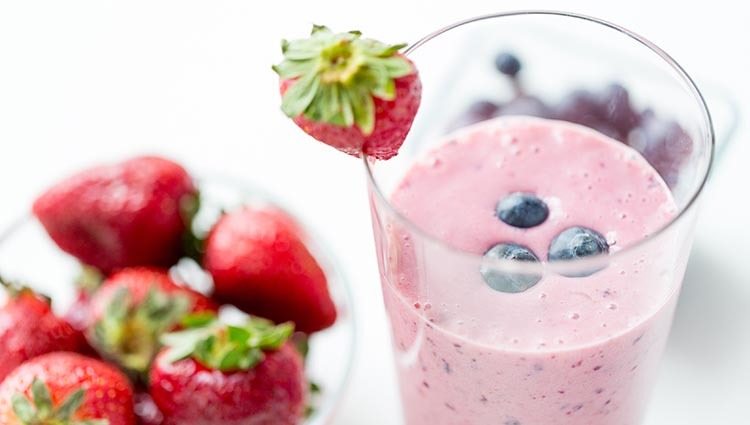 Blend up some refreshment with this super-healthy smoothie recipe. Made with fresh fruit and Odyssey® Greek yogurt, this is the perfect pick-me-up after a workout or for an afternoon snack. Blend up some refreshment with this super-healthy smoothie recipe. Place ingredients in a large blender; cover and process until smooth.